In my experiences living in Juneau, it has truly proven itself to be a place to be gorged on-not oppressively, but intellectually-rich and murky in its history and development, embedded with brilliance (literally, there is gold here). When introducing a place in which I live to others, I enjoy sharing the place through my lenses, providing channels through which the participant may both feel how I have come to be shaped by what Juneau has gratefully presented to me, and also determine for themselves, how they want to perceive this land. On the map are six different locations around Downtown Juneau, places that I consider to be some of the best hidden gems in Juneau, connected by my love for food, sitting on a goldmine of history and knowledge. I encourage you to read the descriptions, and examine the images. The project was made using Google MyMaps, a new resource/application which I fully embrace, especially in its potential use in Social Studies classes. For me, a place comes with emotional associations, like a bookmark in my memories. As a Third-Culture Kid (TCK) perpetually moving and moved, I try to be present in the experiences I witness, through the sounds, the smells, etc… MyMaps allows the audience to see an area, which they may already be familiar with (in my case perhaps those who grew up in Juneau), with a new perspective, a new lens to view the uniqueness of each lived experience. I believe that is something to be celebrated. Tomorrow for lunch, the place is right across the parking lot from the SLAM. I very much enjoyed your take of a walk/drive tour in Juneau. What better of a way to idolize a town by its “good eats.” I also really enjoyed that you said that you like to take a look at a place through your own lens. I admire that, mostly because I feel like I do that as well. Chris… 116 views already! Very nicely done, balanced and in-depth insight to Juneau gems. I appreciate the extra time you took to highlight diversity in Juneau and pointing out the bus stops – such a cool feature with those icons. I personally did not know of the Bullwinkle’s incident, so thanks for sharing, we will be checking out Twilight Cafe this summer for sure! Chris- Thank you for sharing! 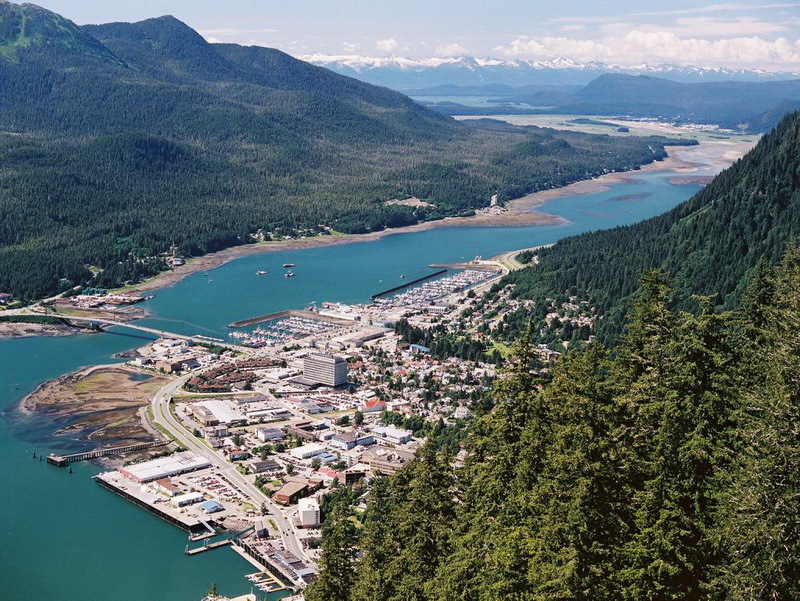 I, like many others, are new to the area and just want to explore everything Juneau has to offer. I’m mostly interested in the sushi place and Korean food. I spent a little over three weeks in Seoul, South Korean and I miss the food immensely. I have traveled around a few different places (mostly in WA and OR) trying to find something besides Korean BBQ to represent Korean cuisine so I can’t wait to check this place out! This was great! Some solid food options in the downtown area. Though there are bus routes on the map, I feel one would spend more time waiting for a bus than it would take to walk to all those locations. Chris – Reading about places here in my own hometown that I love was really fun. I learned new details about familiar places and I remembered my own high school lunches at J&Js Deli. The State Office Building hosts so many wonderful FREE events… my prom was there. For everything but prom, it’s a great venue. Like others have mentioned, I appreciate that you added bus stops and highlighted affordable snacks and free activities. I really like what you did conceptually with your map! The pairing of unique local food spots with background information and history of the area makes for a great insight into the local culture. I like that all of your destinations are a bit off the beaten track, and I can’t wait to explore all of them! It’s my first week in Juneau, so I am excited to try your food tour in real life to learn my way around the city.